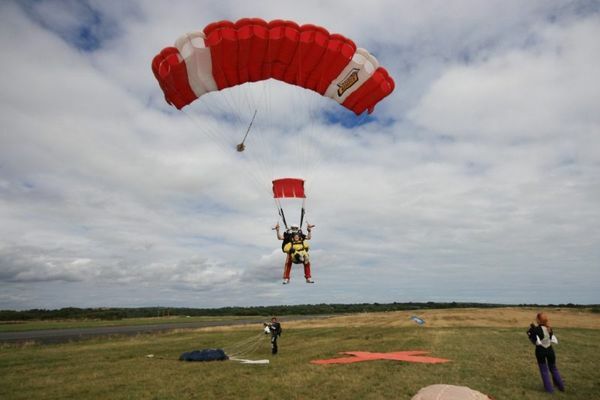 This is a fantastic way to remember your skydive. Don’t regret not having booked a camera option! 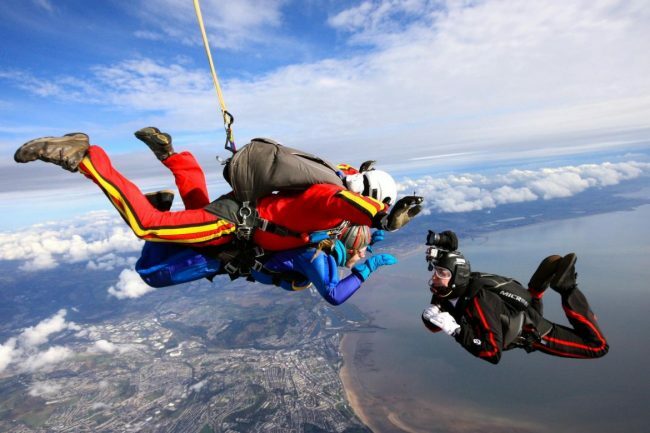 For our Tandem Skydives from 12000 feet we offer filming & photos with your own personal camera flyer or the Hand Cam filming only by your tandem instructor. For our Ground Rush Tandems from 7000 feet we offer the Hand Cam filming option only. 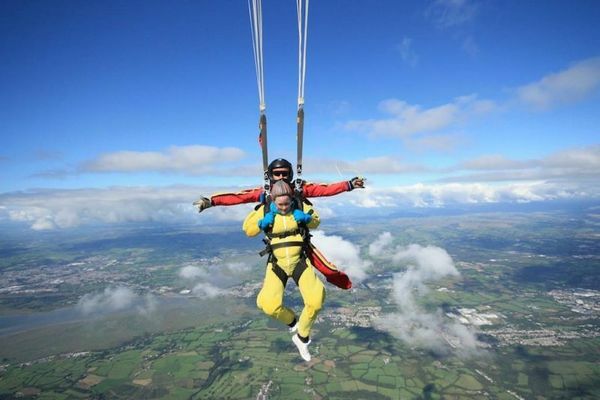 A fantastic way to remember your skydive from 12000 feet. 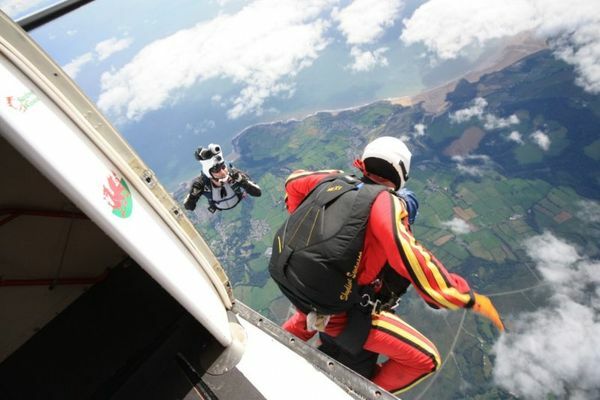 You will be allocated your own freefall camera flyer to film & photograph you. They will start capturing your experience on the ground, going out to the aircraft, exiting the aircraft, fly round you in freefall & film your landing. This is edited to music & posted to you. We will also put up a photo on our closed Facebook group later that day so you can have a sneak preview of how you looked! Cost £120. (includes your camera person’s fee) £40 deposit required at time of booking. This will be presented on a credit card style USB. Please allow up to 8 days and posted to you. 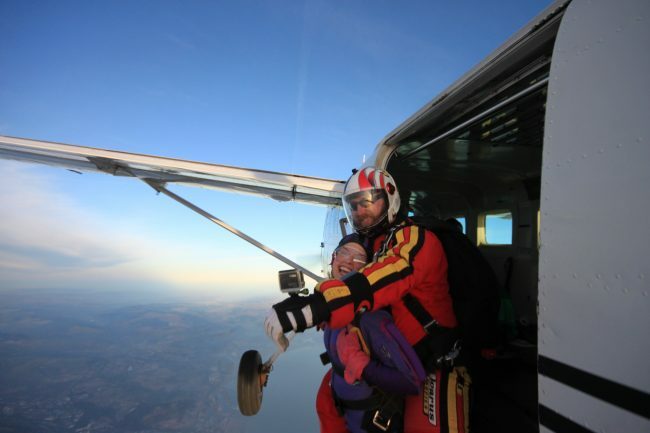 A great way to remember your skydive from either 7000 feet or 12000 feet. Your tandem instructor wears a small HD camera on their wrist & records your experience starting on the ground, going out to the aircraft, exiting the aircraft, freefall, your canopy ride & landing. This is edited to music & posted to you. Cost £80. (includes your instructor’s camera fee) £40 deposit required. 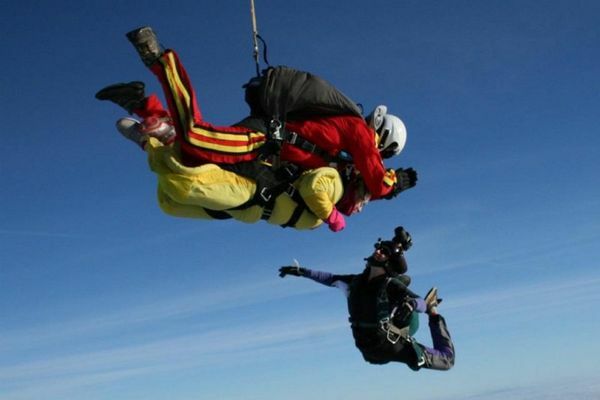 Please Note: If you are doing a charity Tandem Skydive the cost of the camera option cannot be paid for from your sponsorship money. Tandem students are not permitted to use their own Go Pro cameras. … right up to the moment that your canopy opens! They will land safely before you do, allowing them to capture the moment that you touch down. Here are some of the comments that our tandem students have provided after receiving their DVDs. Why not visit our Facebook page to read more? My video and pix have arrived amazing I can not wait to do it again... thank you guys what a awesome day it was! Thank you for the video and photos!! They're amazing! Never laughed so much at my face before in my life!